Effective January 1, 2014, any Generic Top Level Domain (gTLD) New Registrations or Contact Modifications (WHOIS update for First Name, Last Name, Email Address, aka "Contact info") must be verified by the Registrant. This is a policy created by ICANN, not DreamHost. This is the largest set of changes that are included in the RAA policy as required by ICANN. All registrars who have signed the latest RAA agreement are required to do this. 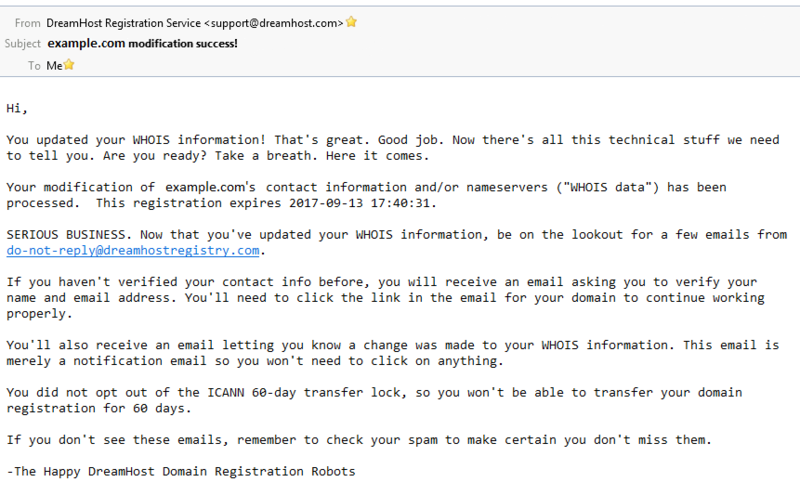 When you make any change to your WHOIS information, ICANN locks your domain for a 60-day period unless you opt-out. 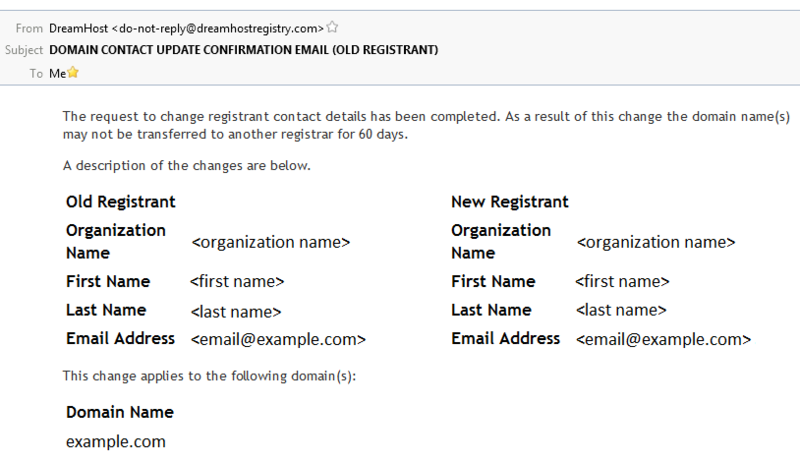 When you change your WHOIS information, two or more emails are sent to you notifying you of this change. If you haven't verified your contact info before, you must verify the 'Contact Info' by clicking the link in the email within 15 calendar days of the domain's registration/Contact Modification. Within those 15 days, this email is sent 4 times (Day 1, 5, 10, and 15) until the Registrant verifies it. 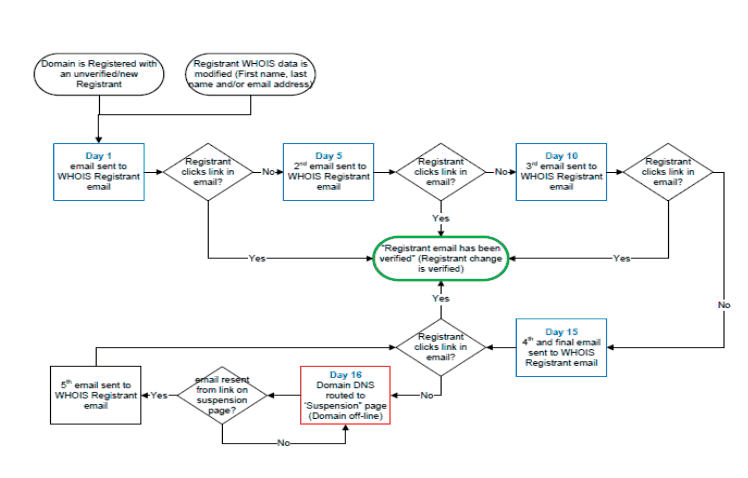 If by the 16th day the Registrant fails to verify the 'Contact Info', then the Domain is suspended and a final email is sent to the Registrant. 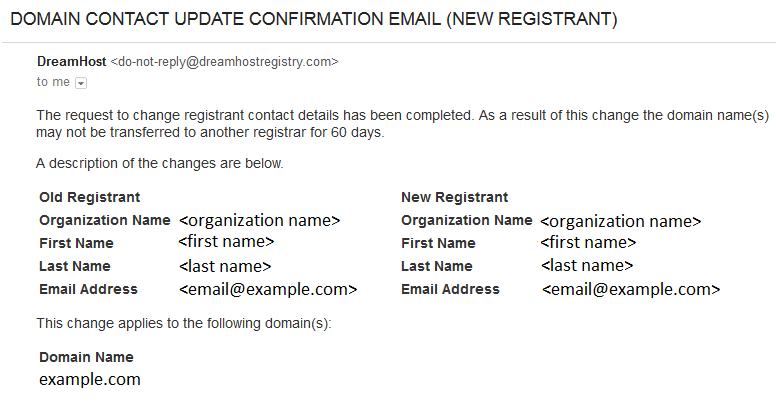 The verification emails are sent by do-not-reply@dreamhostregistry.com. Once a contact is verified, future registrations do not require further verification (so long as the 'Contact Info' is the same). Contact support if you need the verification email resent. Support is able to resend the email from the registry. 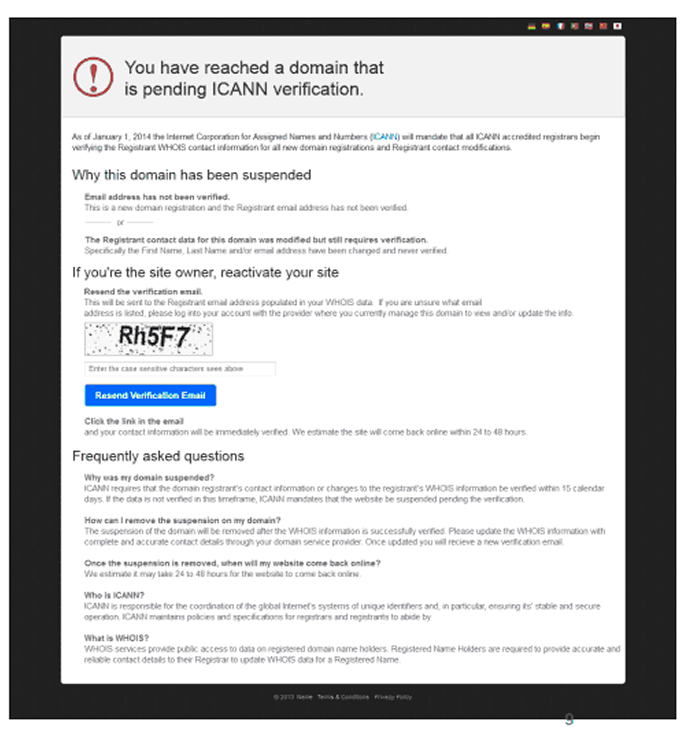 Once a domain is suspended, in accordance with ICANN policy, the DNS is taken over and a page is put up on your site stating that the domain is not verified along with instructions for the owner to verify. An example of a suspended page is shown below. 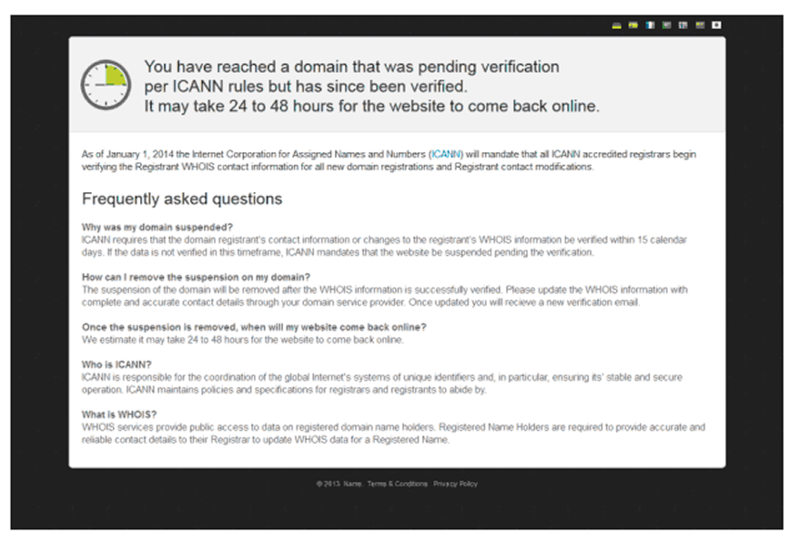 Once a site is down, the site remains down indefinitely until the Registrant verifies the domain. No further emails are sent until the customer takes action. Suspended domains can be renewed and can also be transferred. A suspension due to an invalid contact also causes the transfer approval emails to go to an inactive mail user, so you likely won't be able to approve the transfer of a suspended domain name either. Once a suspended domain is verified, the suspended page shows the Verified status. It may take 24 to 48 hours for DNS changes to propagate before the site is restored.